Strangely enough, the hatched or adult stage of life for an aquatic insect exists only for a short time along the stream or river. However, insects in larval form exist all year long and comprise a more abundant food supply, hugging the bottom in lakes and streams. It is estimated that trout feed on this sub-surface forage 90% of the time. This accounts for fish-catching properties of nymph style flies. Are fishing nymphs worth the effort? Not enough recreational fly fishers use these flies. They are extremely bland-looking for the most part and are more difficult to fish than the other varieties of flies. 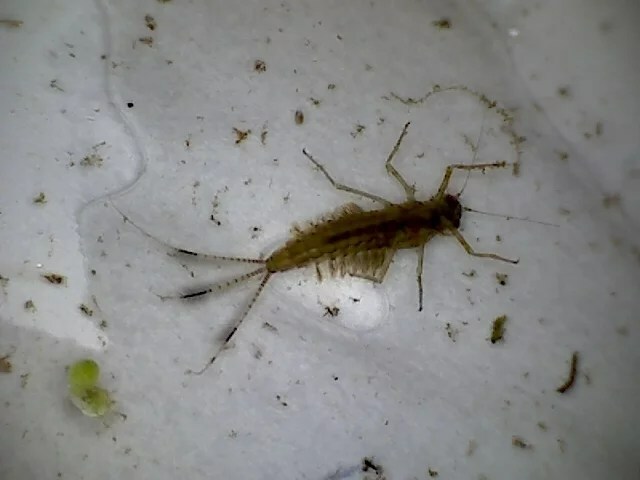 But at certain times, nymphs can be deadly; for in between insect hatches, in super cold water, or even during a hatch will feed on insects near the bottom of a stream as well as those that are rising to the surface. Nymphs are tied on hooks similar in size to those used on wet flies, although occasionally some jumbo versions will be sold all the way up to a #4. Some patterns have copper or lead wire wrapped internally around the body to provide for greater sinking action. In contrast to wet flies, nymphs do not have wings. 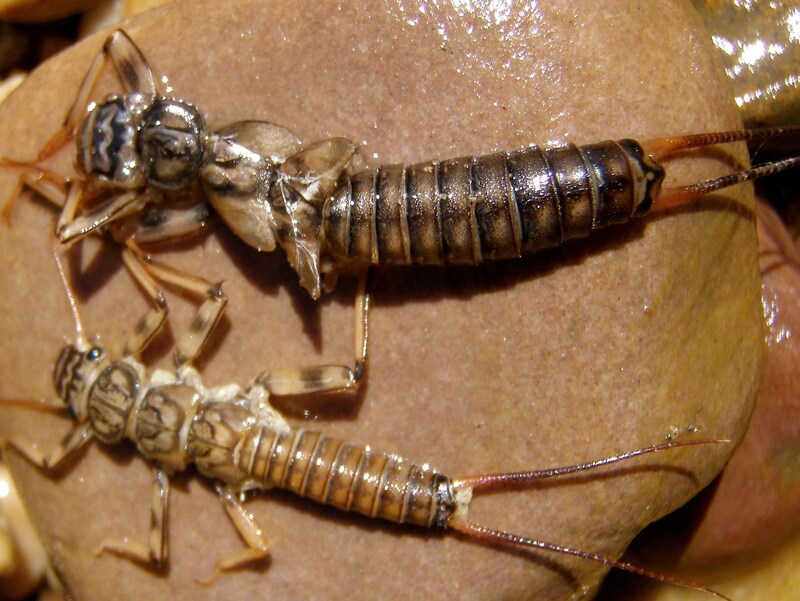 Just as the dry fly fisherman collects insects flying around or landing on the water to “match-the-hatch“, anglers working a nymph will often turn over rocks in the stream to examine what larval forms are present in the waters they are fishing.